CARY, NC -- The Cary Police Department has arrested a man in connection with a string of burglaries while continuing to seek additional suspects. Police say Julian Anthony Belton Jr., 24, of Durham, has been arrested for 11 counts of felony breaking and entering regarding a string of burglaries in western parts of Cary. 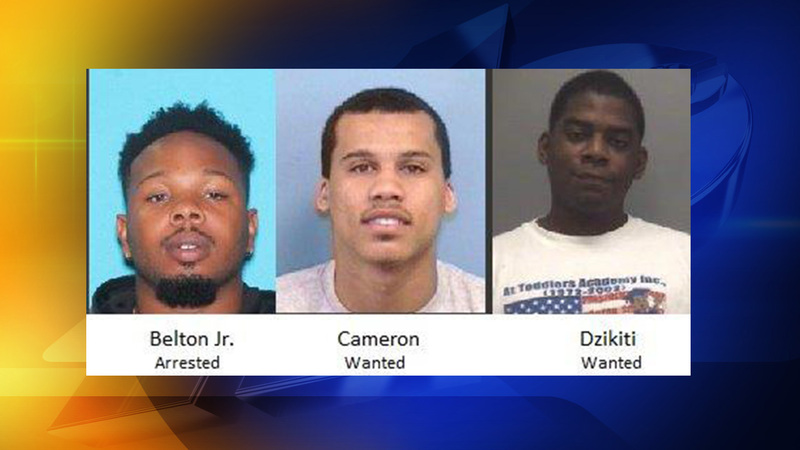 Police are seeking the public's help in locating two additional Durham suspects: 22-year-old Arthur Tanaka Dzikiti and 25-year-old Daron Diamante Cameron. Both suspects are wanted on multiple felony charges in connection to burglaries in Cary. Anyone with information is encouraged to contact the Cary Police Department at (919) 469-4012 or Cary Crime Stoppers at (919) 460-4636.